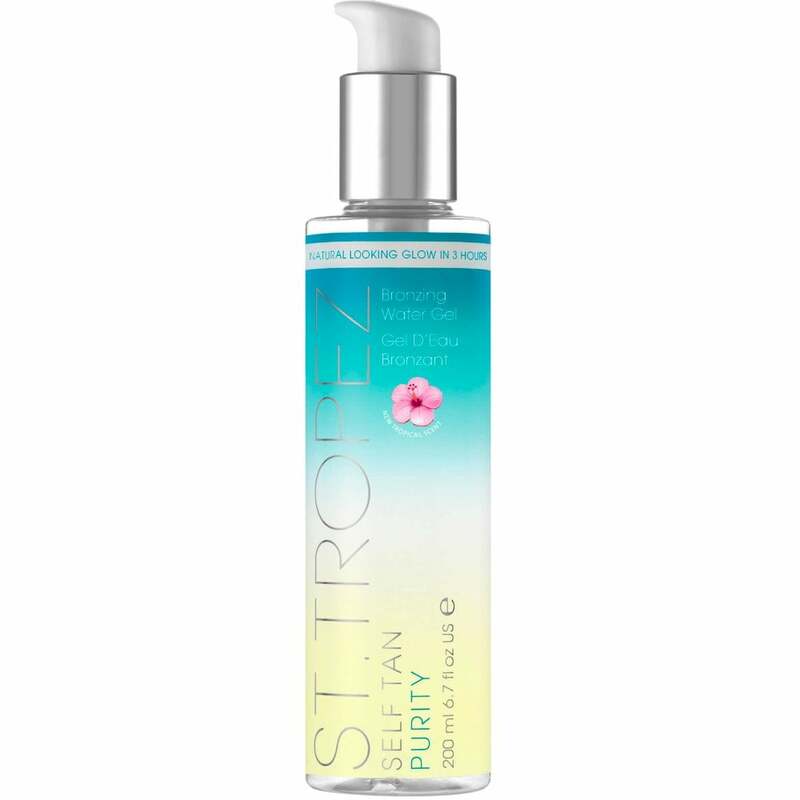 St. Tropez Self Tan Purity Bronzing Water Gel (200ml) is a lightweight, gel-to-water self-tan which produces a natural-looking, golden glow using only vegan-friendly and naturally-sourced tanning agents. Tropically-scented, this clear bronzing gel develops a streak-free, healthy-looking tan in just three hours and will not stain clothing. Instantly refreshing, it revives and hydrates the skin and with no need to rinse off, can be applied any time of day or night. Enriched with Hyaluronic Acid to plump, regenerate & protect the skin. Completely cruelty-free. Exfoliate 24 hours prior to application. Moisturise dry areas such as elbows, knees, feet and ankles using St. Tropez Body Moisturiser. Apply with a tan mitt, using long, sweeping motions from the ankles upwards. Ensure skin is touch dry before dressing & avoid contact with water for at least eight hours after application. For optimum results, moisturise daily, exfoliate regularly and re-apply as required.